I bought this CD 12 years ago. A colleague borrowed it but never returned it back. I missed that for quite a number of years. Yesterday, I bought a brand new one of it again, at quite a premium. Completed the lecture part of the open water diving course today. Ready to go take some dives in early Sept in PG. It is the 3rd typhoon holiday in this project — more frequent than in my previous projects. The Earth must getting sick. Signal #9 is on but all wind and rain has stopped. I must be in the center of the storm right now. Should You Pay Twice as Much for a Mac? Should you pay a few times more to fly business/first class? The selling point of a Mac is probably the Mac OS, the integration of the OS and the hardware, and those many cool utility applications that come with the OS. If you’re comparing by hardware cost, you’re obviously missing the points. Except in the graphics design and publishing industry, the Macs is targeting more towards the consumers rather than the corporates. Most of them probably won’t calculate the price-performance ratio and payback period before purchase. The emotional factor plays a much bigger role here. You don’t need to do rational calculation to justify why people are buying Mac. How could you rationally justify a Ferrari? If Apple wants a larger piece of the corp market, they got to make the price-performance more comparable to a PC. But I doubt they’d want to do that, given the slim margin in that market. 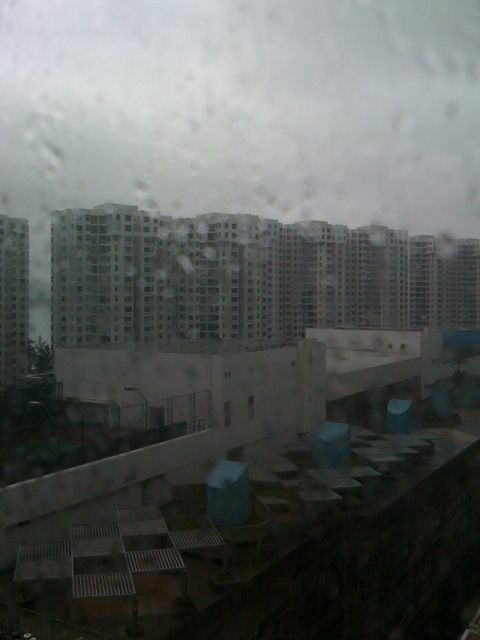 Typhoon whole day. Completed server migration and created a new blog. Scrapped my previous blog as all Chinese characters become rubbish when the blog is migrated to the new server. Hope I will update it more often since I can now blog on the road with my iphone.